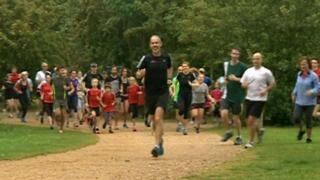 The free running event, parkrun, is 10 years old. Started by Paul Sinton-Hewitt and a few friends, it now attracts 80,000 people, meeting at 0900 each week, in 280 parks nationwide. Mike Bushell joined the runners to find out more about the benefits of social running. To find out more about taking up running, take a look at our handy guide.